This article is part of our ongoing home construction specification plan series. Once your new home’s frame has been completed, you’ll want to see to it that all of the doors and windows are in place as quickly as possible. Limiting the amount of time between framing and enclosing the home will ensure that neither the elements nor intruders can harm your investment. Style — You may want to have a bay window on the front of your home, French doors opening up to your patio or deck area, skylights in your attic, etc. Getting the style right now will keep you from having to pay for a costly renovation later. Substance — Window and door manufacturing technology has improved to keep pace with consumers desire to save energy. Look for the Energy Star Symbol to determine how well windows and doors will insulate your home from summer’s heat and winter’s cold. Tinted windows can keep your home cooler while stopping damaging rays from ruining your furniture, carpeting, or flooring. Cost — Prices for windows and doors can vary widely, therefore shopping around for the best prices can shave hundreds of dollars off of your costs. You’ll pay more for higher quality windows and doors, but energy savings can offset some of the added expense. In addition, better quality means longer lasting materials, something for you to consider if you plan on staying in your home for a long time. Windows and doors can define your home’s overall look, so you’ll want to spend ample time making sure that the style you select enhances your home inside and out. 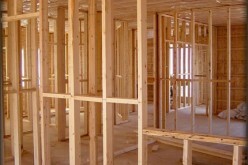 Work closely with your home builder to ensure that this step in your home building plans is done to your satisfaction. Let’s Hear It For Indoor Plumbing!